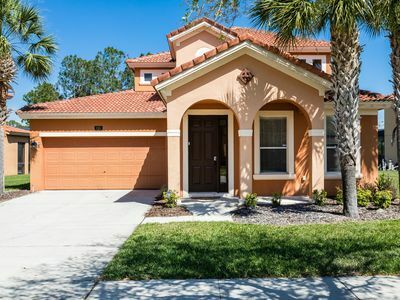 Wonderful 6 bedroom, 5 and a half bathroom vacation home with lake view, hot tub (pool heat optional), free Wi-Fi, 6 medium to large flat screen TVs, game room with air hockey, foosball and billiard. 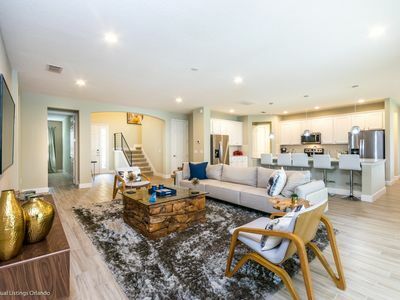 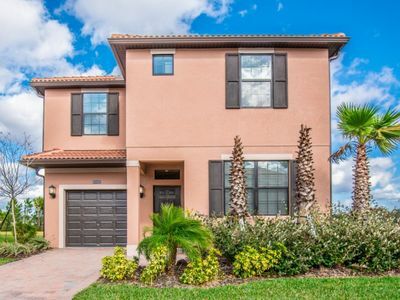 In gated community Aviana, with great resort amenities, including swimming pool, spa, fitness center, business center, sand volleyball, children's playground and putting green. 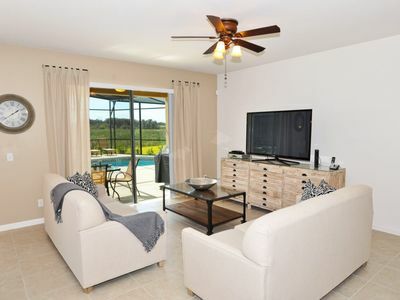 This excellent vacation home has a fully equipped kitchen, a Master bedroom downstairs with King bed and en suite master bathroom. 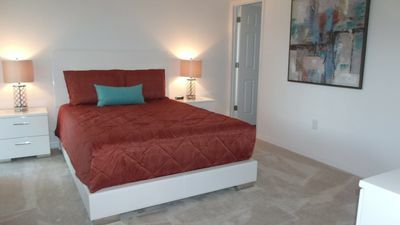 Upstairs there is another King bedroom, 2 Queen bedrooms, all with their own en suite bathroom, plus 2 more bedrooms, both with 2 Twin beds each, and their shared bathroom. 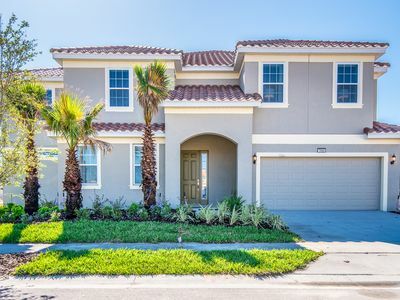 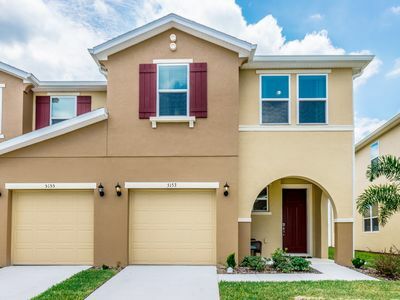 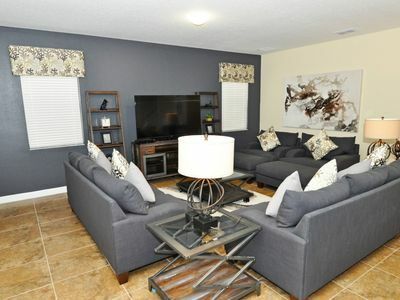 Plenty space for up to 12 guests to make the best of your Florida visit! 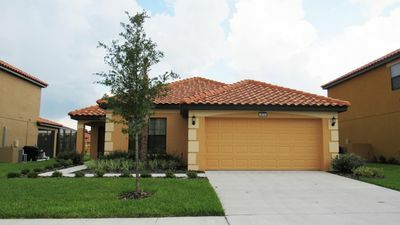 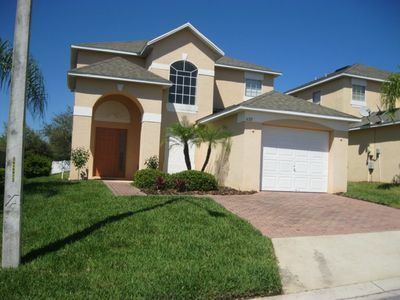 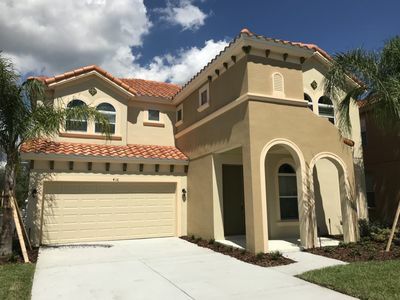 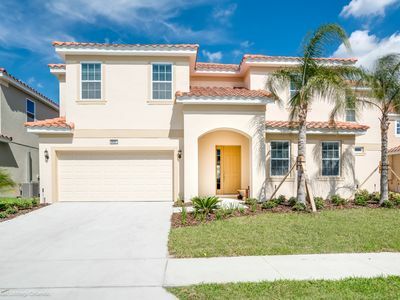 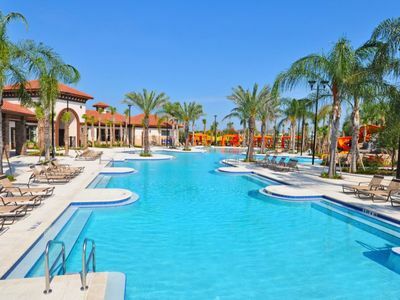 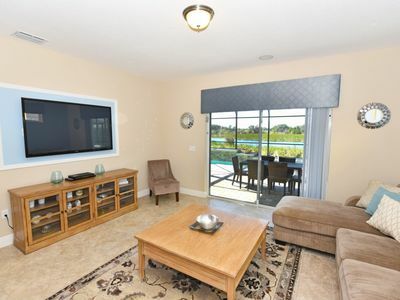 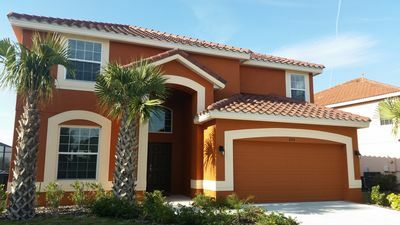 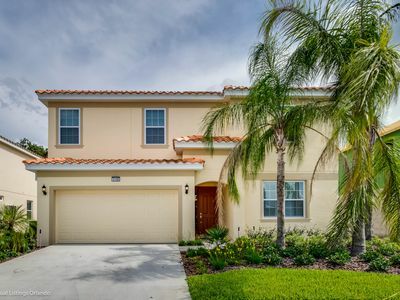 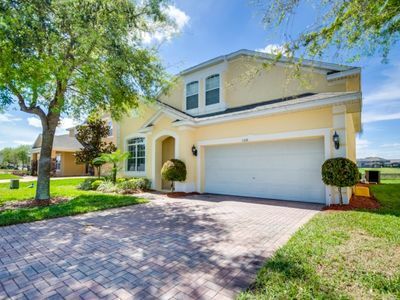 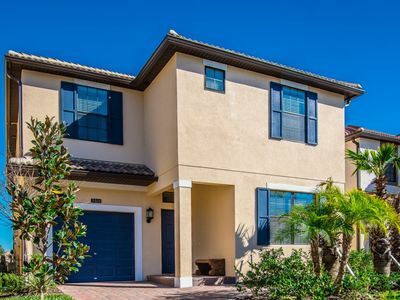 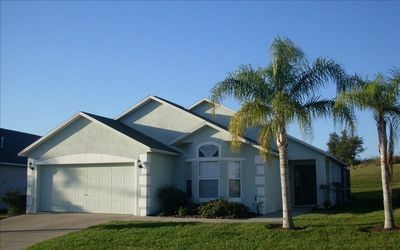 Beautiful 4 Bed Gated Pool Home At Compass BayResort From $120/nt!